This jewelry adornment dates back thousands of years and still remains a popular item in a wide array of jewelry pieces. Pearls are different from all other gemstones in that they are produced within a living organism and do not require any cutting or polishing for jewelry creations. The introduction of pearls into jewelry began during the rise of the Persian empire, around the fifth century BC. A natural pearl is created when a foreign substance enters a mollusk- an oyster or mussel- which irritates this organism. The mollusk reacts in defense by coating the outside substance with layer upon layer of nacre. Because of their rarity and the intricacies involved in creating them, natural pearls are very expensive. Cultured pearls, on the other hand, are created artificially when someone inserts the irritant into the oyster to help induce the creation of the pearl. The steady supply, lower cost, and close resemblance to natural ones, make cultured pearls more practical in jewelry creations. Freshwater Pearls created in Japan and China, are the most versatile in nature. They span the widest range of shapes, sizes, and colors. In terms of jewelry, freshwater pearls are very popular because of their affordable price and ability to be fit for any style ring, earring, necklace or bracelet. Saltwater Akoya Pearls bear a strong resemblance to freshwater pearls but come from different sources. Most of these pearls are round in nature and contain a whitish-grey hue with subtle overtones of green or pink. Saltwater pearls can only be produced once per oyster and take much longer to form, making them more rare and more valuable than freshwaters. Tahitian Pearls are dark pearls with green, purple and blue overtones that are produced in Black-Lipped oysters around Tahiti and the French Polynesian islands. These exotic pearls make great jewelry pieces because of their striking, bold appearance. South Sea Pearls are known to be the largest, rarest, and most valuable of all pearl types due to several factors- including the environment they are produced in and the increased length of time it takes to form them. They are typically white, silver or golden in color and are produced off the shores of the Philippines, Indonesia, and Australia. Large sized, high quality South Sea pearls are very desirable in jewelry because of their majestic appearance. Mabe Pearls are unique in their half round/ half flat shape as a result of the way they are grown- against the wall of the mollusk. Although they come in a variety of beautiful and eye-catching hues, Mabe pearls are less expensive due to only showing luster on one side. Luster is the major reason for a pearl’s beauty and is a combination of the pearl’s surface reflection and inner glow. High luster pearls will show strong reflections and beautiful contrasts between dark an light spots on the pearl. A pearl’s luster can be strong or weak depending on a variety of internal an external factors related to its production process. Nacre also known as mother-of-pearl, is a very lightweight, transparent inner coating of a pearl that allows for an iridescent glow on the pearl’s surface. As a general rule, the thicker the pearl’s nacre= more luster= more valuable. • BAROQUE: irregular shaped pearls valued for their unique style and beauty. Baroque pearl necklaces are very fashionable in current jewelry trends for their abstract free flowing appearance. • TEARDROP: normally pear shaped and make for great drop earrings and pendants. • BUTTON: are flattened to some degree and are typically used in earring designs where one side can be attached to the setting as to hide the flattened facet. Size for pearls is measured in millimeters. For round pearls measure the diameter, and for off-round shapes calculate the length and width. All things being equal, the larger the size of the pearl, the more valuable it is. Larger round pearls are exceptionally rare, and more valuable, because it is hard to maintain the shape as the pearl increases in size. Color: pearls come in almost every shade imaginable with the most common being silver white; pure white and pure black are the rarest and most desirable of all pearl colors. Overall color develops from the body color (determined by the type of oyster or mollusk that produced it) and overtones (translucent colors that usually reflect on the surface), ranging white to black. The perceived beauty of the color is reflected in the price of the pearl. For jewelry purposes, you can match the pearl to the skin tone of the wearer and can also be a matter of personal taste. Surface of pearls range from smooth, clean, and shiny (more expensive) to rough and bumpy (less expensive). Surface is the equivalent to the clarity ratings in diamonds. It is highly unlikely for a pearls surface to be perfect and the longer the pearl is in the oyster the higher chance it will have more surface blemishes. Chips, cracks or gaps in the pearl can effect the durability of the pearl. However, minor flaws or scratches will not heavily impact the overall quality of a pearl and can be unnoticeable. 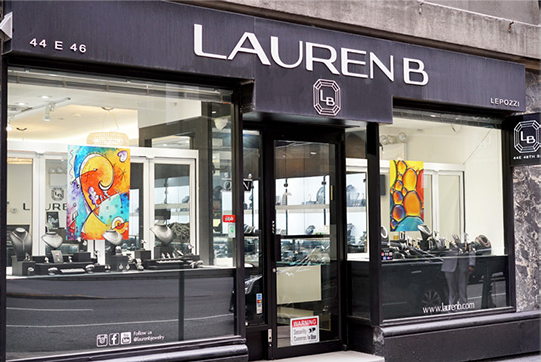 At Lauren B Jewelry of New York, we carry a wide assortment of pearl decorated jewelry in a broad range of sizes, styles, and prices. 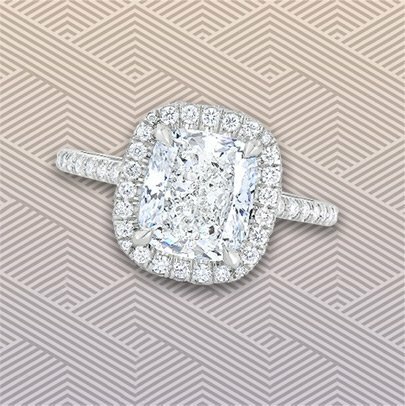 Although we specialize in diamond jewelry, we provide our customers with the full spectrum in fine jewelry creations. If you are unable to find it in our online collection or in our New York City showroom, Lauren B Jewelry can locate most any type of pearl strand, pearl ring, pearl earring, or pearl bracelet upon request. Below are a few pearl standouts from our fine fashion jewelry collection.